The Crypt can be seen on the drive up to the Hyde Hall mansion. 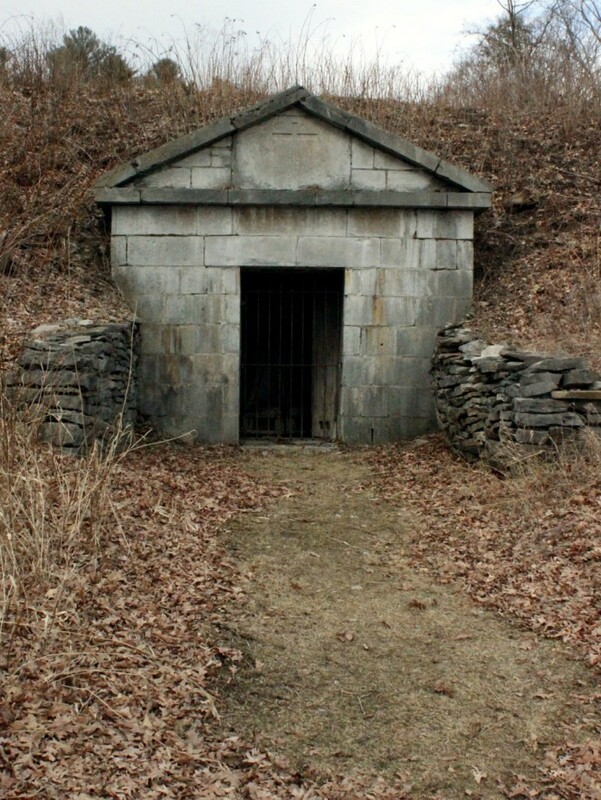 This family burial vault was originally constructed in 1832 as a free standing building. The family later filled in the hillside around it.